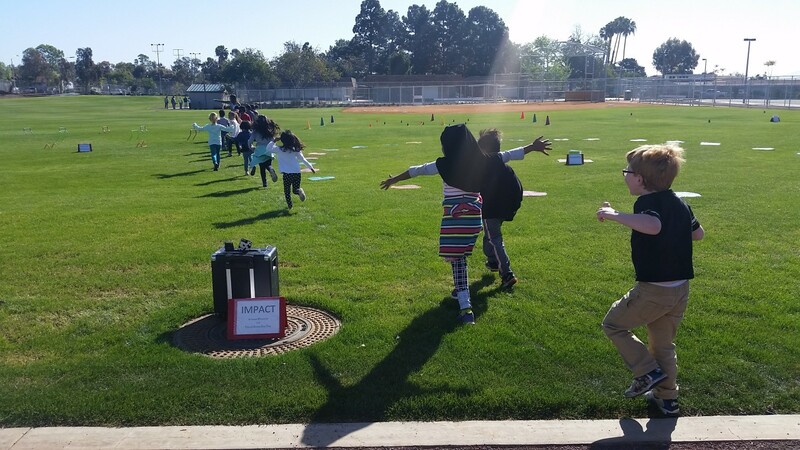 Over the past year, the UC San Diego Community Pediatrics Department and the UC San Diego Triton Athletics Department have worked closely with Wegeforth Elementary students and teachers to increase physical activity during class time, thru the district’s new program called IMPACT. Yesterday, City of San Diego Mayor Kevin Faulconer, City Councilmember Scott Sherman and San Diego Unified School District Superintendent Cindy Marten unlocked the city’s first joint-use “Play All Day” park at Wegeforth Elementary, which will be shared by the school and Serra Mesa community residents. During the dedication ceremony, Wegeforth’s youngest students and their teachers ran through the park gates together for the first session of IMPACT on their new multi-purpose sports field. Through innovative community collaborations such as these, UC San Diego Health, local schools and the City of San Diego are building healthier communities for local families and children. Wegeforth Elementary students running on to their new field for IMPACT. 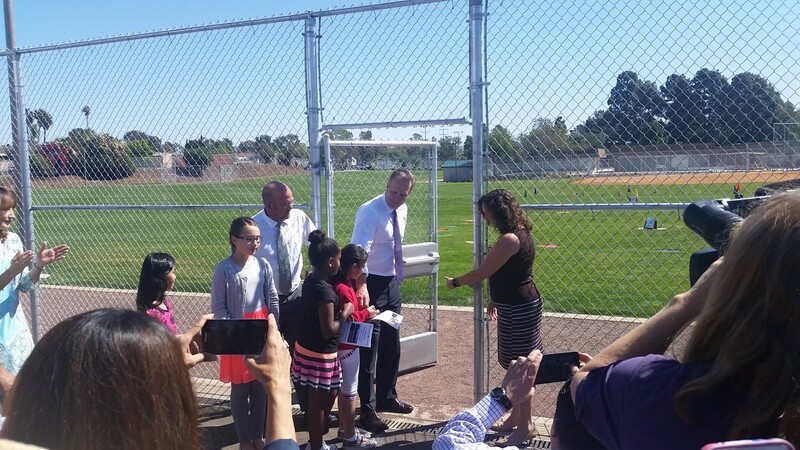 Mayor Kevin Faulconer and SDUSD Superintendent Cindy Marten opening the gates to the city’s first joint-use “Play All Day” park at Wegeforth Elementary School. 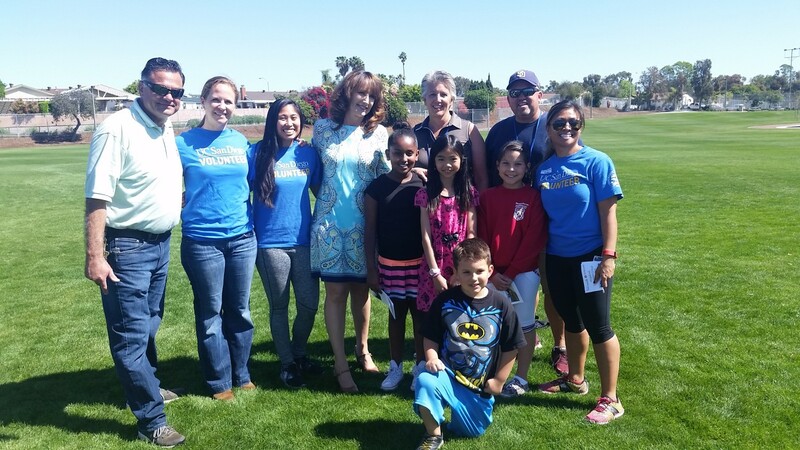 UC San Diego and SDUSD staff celebrate alongside Wegeforth Elementary’s students, Principal and BSS. 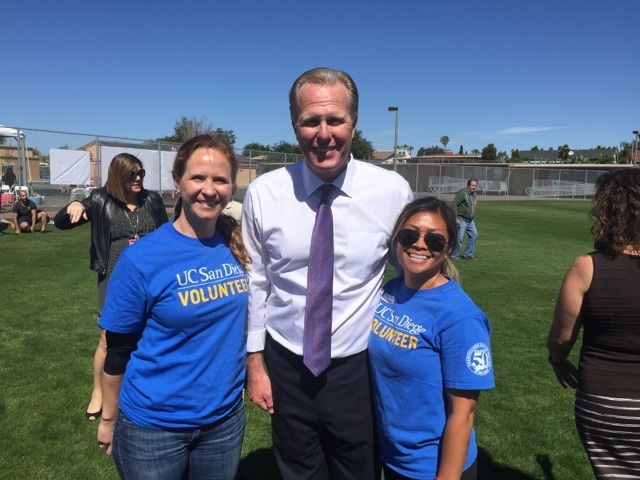 UC San Diego staff members Kate McDevitt and Kate Edra celebrate with Mayor Kevin Faulconer.